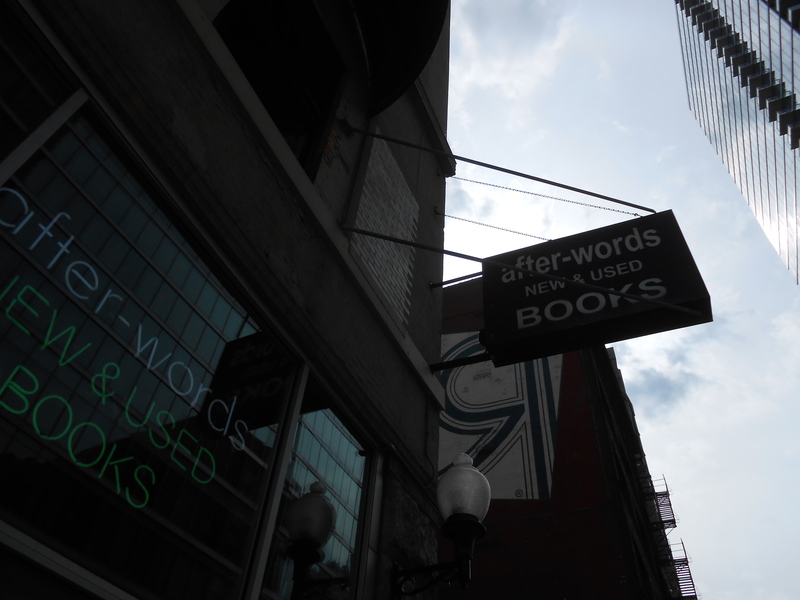 After-words is an independent bookstore in Chicago located at 23 East Illinois Street. They don’t have wifi but they do have a couple PC’s located in the basement that people can use for about $2.50 every 15 minutes. They also have different events and signings at their store. A couple of their books on the shelves are signed and are marked with a sticker to show that they are. They are a two story bookshop that sells both new and used books and helps shoppers find what they are looking for whether it is currently in print or not and will order it if they can for visitors.